GUATEMALA CITY, SAN JOSE, and WASHINGTON, D.C., August 19, 2016— The international organizations who have signed this statement are appalled at the illegal raid which occurred on August 15, 2016 at the residence of Guatemalan lawyer and human rights defender Ramón Cadena, Central America Director of the International Commission of Jurists. Eight armed men, some with their faces covered, entered the residence of Ramón Cadena, which is located in Guatemala City, while he was out of town. During the time they spent inside the home, the individuals intimidated the guard, disorganized his documents and clothes, and took his laptop. 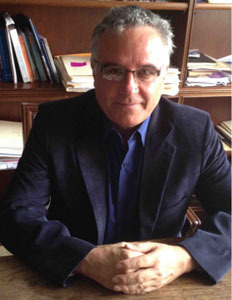 Attorney Cadena is one of the most prestigious professionals in his field, a defender of human rights in Guatemala, that accompanies Indigenous and campesino communities, who have denounced and sought justice in cases of grave human rights violations not only during the internal armed conflict that plagued Guatemala at the end of twentieth century, but also human rights violations committed by companies in the present day. In several of these emblematic cases, Ramón Cadena has participated as an expert witness. One of the most recent, is the CREOMPAZ case, where eight high-ranking military officers face trial for enforced disappearances and crimes against humanity. We express our great concern, because this raid takes place in a context where human rights defenders in Guatemala and their attorneys are suffering a serious increase in intimidation, assaults, public defamation, and even criminalization. This year, Mr. Cadena himself has been the subject of media attacks and even a criminal complaint filed against him by a representative of a foundation linked to retired and active duty military officials. In light of the previously stated, the undersigned organizations call upon the Guatemalan authorities to conduct a prompt and effective investigation in order to identify the perpetrators of these acts, their motive, and the intellectual authors behind this crime. This is to ensure that those responsible are prosecuted criminally before a court of law and receive the corresponding punishment. As long as there is no evidence to the contrary, the State must analyze these actions as a case of an attack against a human rights defender. We also expect the State to take all the necessary actions to protect the life and the physical integrity of attorney Ramón Cadena and his family, as well as all human rights defenders in the country. We join in the expressions of solidarity with Ramón Cadena and his family; offering to remain vigilant, and to inform the international community and various human rights mechanisms on the State's responses to this case.